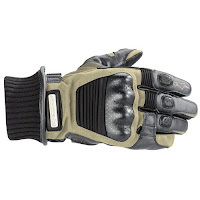 Utilizing nearly 50 years worth of R&D in the development of high-performance motorcycle gear, Alpinestars decided to elevate their ADV Touring gear to the next level in the Fall of 2010. 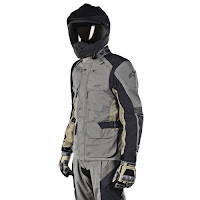 With their partnership with GORE-TEX, Alpinestars is able to create some of the most technical and protective all-season all-weather apparel. 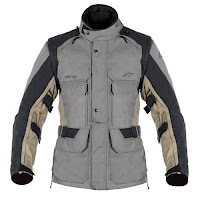 We saw them dabbling into that territory in 2009 with the Alpinestars Frontier Gore-Tex Jacket but their newest ADV Touring combo, the Durban, ushers in the next generation for Alpinestars technical textile apparel. The Alpinestars Durban Gore-Tex Jacket & Alpinestars Durban Gore-Tex Pants are going to go toe-to-toe with the top-end ADV Touring gear from most motorcycle gear manufacturers. Alpinestars started making off-road gear when the company was founded and have been making road/racing gear since the 1970s. It only follows that the marriage of both of these technologies would fuse together and create highly technical and innovative adventure touring gear. The new Durban outfit is designed to pair perfectly with the brand new Alpinestars Arctic Drystar Gloves. We have a full 15-minute HD video review of this coming out very soon, in addition to video reviews of all the brand-new Fall 2010 Alpinestars Gear. In the meantime, you can visit our Alpinestars Touring Gear page to check out some of the new gear.